Stay close, but at a safe distance! Designed to enable safe ROV work in close proximity to tubulars. The SoftGrip provides a safe stable working position without damaging the surface coating of the tubular. Deployment is simply a matter of pushing the gripper against the tubular and allowing the SoftGrip to click into place. The SoftGrip can be provided at any size and stiffness to be used with any ROV. 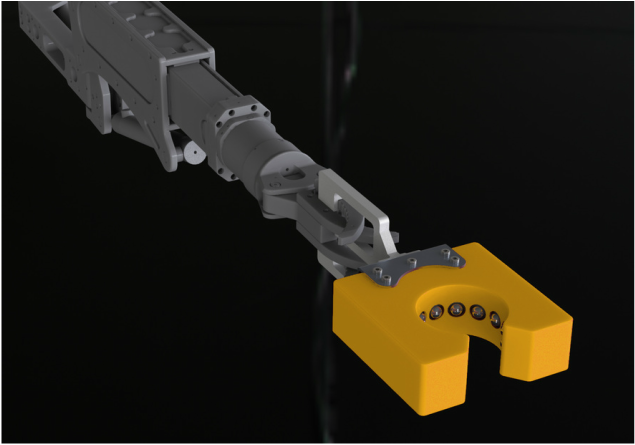 The SoftGrip can be mounted directly to the ROV chassis or held in a manipulator.